SEO Services Melbourne | iWin SEO | Get Google Rankings! Welcome to I Win SEO. If you want to win at search engine optimisation and take advantage of an agency with 16 years of experience, then we’re the team for you. We take full advantage of the latest ranking techniques, online visibility strategies and world-class expertise to provide an affordable, effective service to our clients. No matter how competitive your keywords might be and regardless of your businesses’ niche – you can count on our experts to help you with all of your online presence requirements. 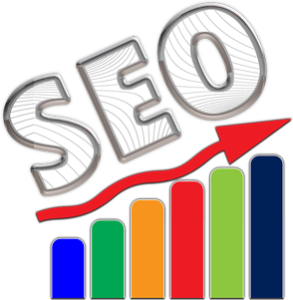 Effective SEO for Google Rankings. Experts in Local Search & Google Maps Listings. Complete Search Marketing Packages inc PPC & Social. Web Design & Development for Search Optimisation. Paid Advertising inc Adwords & Facebook. Conversion Rate Optimisation for Maximum ROI. With many SEO companies competing for your business its important to partner with a provider who can effectively increase your leads. I Win SEO are your Local SEO Experts. We understand that as a small business, usually the best type of customer is one that buys local. We therefore help you to rank in Google Maps and we target local traffic for your website. We operate in the city of Melbourne, but can service businesses in any part of Australia. There are many it companies in Melbourne, let alone the entire planet! Open your email and you will see the mass volume of spam offering their marketing services on a daily basis. I Win SEO are different. We provide genuine ranking results and a strong ROI for your online marketing efforts. There is no doubt that Google is the top search engine when it comes to getting leads for your business. And whilst having a strong presence on the minor search engines doesn't hurt, we specifically target Google for the larger volume of traffic then can supply. With many years of experience, we understand the Google ranking algorithm, and know what it takes to have a top-ranking website. Join our numerous clients who are placed on page 1 of Google. The bread & butter of what we offer at I Win SEO is monthly SEO services. However, we also offer once-off consulting services. We can audit your website, and/or current search marketing provider, and give you feedback on the areas to be improved. Speak to us to get a solution that suits you! More than just search engine optimisation, our experience web marketing team can help with all of your business’ online branding & marketing strategy. We are a small team, but also have great experience with Pay per Click (PPC) and AdWords advertising for all size companies. Our Melbourne-based web design team operate slightly differently to many website designers. We design & develop our websites with a SEO-first mentality. Not just pretty pictures, but a site that will be Google-friendly. After all, what’s the point in having a pretty website that nobody can find? Having a regular schedule of well-written content is important for not only SEO, but also your social media platforms and current clients. Our team write a lot of content and can help you with yours. It’s all part of the ‘hands-off’ digital marketing services offered by I Win SEO.